Whether you’re an ambitious start-up or you already lead your industry on a global scale, your business has goals and a vision for the future. Without this, the only way is backwards, right? Either that, or you’ll grow stagnant. Nobody wants this. The thing is, when you’re so engrossed in the day-to-day operations of a business – and this applies to owners and marketing managers alike – it’s hard to keep an eye fixed on the horizon. You’re looking at things too closely. 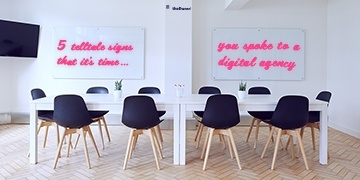 That’s where a forward-thinking digital agency comes in. Like anything in life, an external eye can help tremendously, and can give you the perspective needed to prioritise goals and look to the future. Here are the signs you should look out for. It’s better to have the conversation with an agency in advance, rather than call when you’re in crisis. 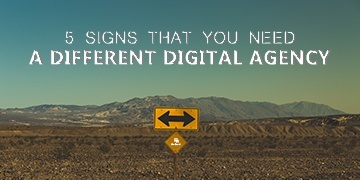 This blog is helpful whether you’re already with an agency or you’re doing it all in-house. It’s likely that everyone in your business is so busy with running a tight ship regarding the day-to-day things that, somewhere along the line, your collective vision for growth fell by the wayside. It’s a common occurrence. What you need is a highly skilled digital agency with whom you can revisit your goals and objectives, and identify the most realistic targets to set. Remember that as a business you’re all working together and towards the same goal, regardless of your discipline. The slightest discrepancy can result in disputes, communication breakdowns, or, as is most common, ignorance. Whether you’re a business-owner or a marketing manager, think about your vision for the future: if it is currently incompatible with that of your peers, it’s time to speak with the experts. Ever have that feeling where you come across an idea and just wish you’d thought of it first? Annoying, right? It can be downright frustrating when your competition is doing better than you, but fortunately there are ways around it. Whether your competitors are outranking you on the search engines or they seem to be stealing the ideas right out of your head, a digital agency can help you to surpass everyone else in your industry. It starts with research and discovery: a good agency will learn everything it can about your business and the industry you’re in, and then come up with canny growth strategies that ensure you’re the best of the bunch (which is exactly what we do here at theEword, for each and every new client). Like we said, sometimes you get so caught up in day-to-day goings-on that you can’t look ahead or prioritise. If you know that how your competitors are gaining leads is changing but in ways you’ve not yet grasped (or you have little time to), it may be worth speaking to a digital agency. Good agencies are industry experts, and with their help you can come to a better understanding of the industry you’re in. It’s more common than you might think, and it again relates to being too time-poor to keep on top of how your industry is changing. 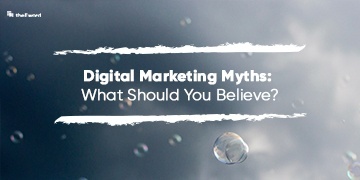 Whether you come from the old-school and are yet to learn what SEO stands for, or you have a good (but basic) understanding of how digital works, you need expertise in order to grow. It’s about talent, creativity, and vision. You may have all three, but without roles that oversee things like SEO, PPC, or outreach, you’ll be selling yourself short. This is where a digital agency comes in. You can only educate yourself so far, and one of the main benefits of enlisting the help of an agency is that you can focus on doing your job as usual, while we do ours. If your profit margins are keeping you up at night and you’re regularly burning the midnight oil, it’s time you got some digital help. A business-owner often feels the pressure to perform, and to take the burden on themselves for the greater good of their business. This doesn’t have to be the case. Operating this way will lead to you burning the candle at both ends. Before you know it, you’re wrapped up in a blaze of your own making. Instead, pass some of the load on to a good agency that can take care of growth so you can focus on doing your job without endangering your sanity. You’ll be working with business-growth professionals who know what it takes to find your audience, speak to them in the right way, and get them engaged in your brand. 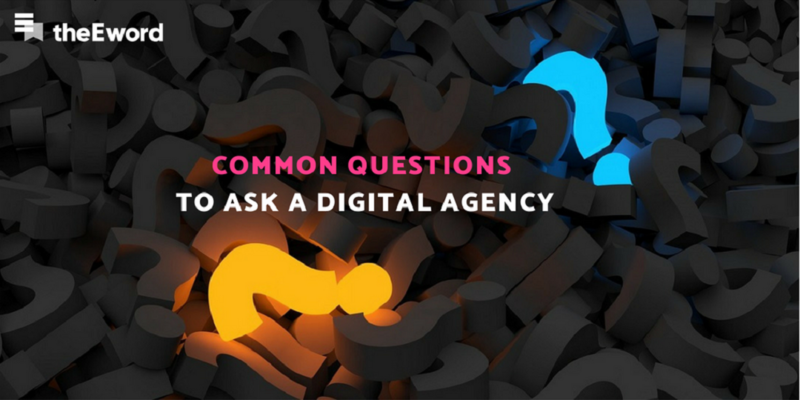 If you’re finding that your digital strategy is lacking, or you’re unsure just how to engage your audience, download our How to Choose a Digital Agency guide here. Alternatively, book in a call with Kleon, one of our directors: he’ll be more than happy to talk about your business’s future.